Manila Water Enterprise | Manila Water Company, Inc.
Manila Water (Thailand) Co. Ltd., a subsidiary of Manila Water Company, Inc., through Manila Water Asia Pacific Pte. 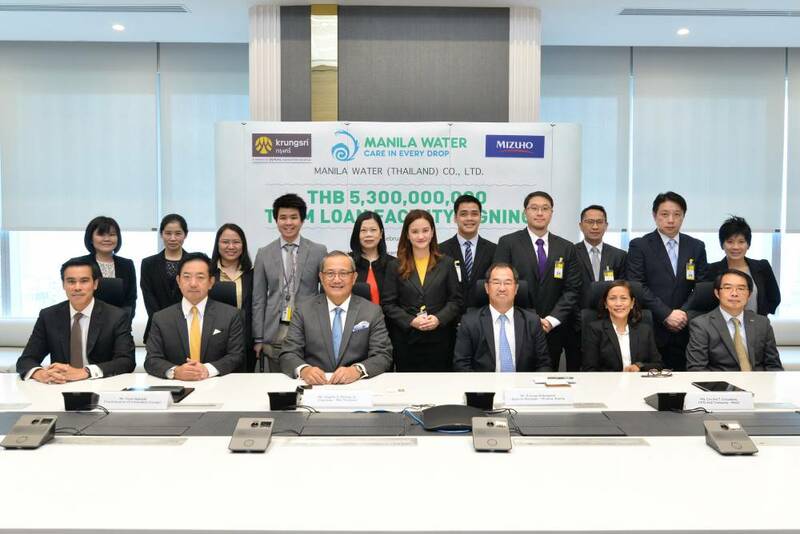 Ltd., signed a THB5.30 billion, 5-year term loan facility with Mizuho Bank, Ltd. – Bangkok Branch and Bank of Ayudhya Public Company Limited to take out the previous bridge loan used to finance the acquisition of an 18.72% equity stake in Eastern Water Resources Development and Management Public Company Limited. Manila Water holds the exclusive right to provide water and used water services to more than six million customers in the East Zone of Metro Manila and Rizal Province, encompassing 23 cities and municipalities. Our corporate vision is to be a leader in the provision of water, used water and other environmental services which will empower people, protect the environment and enhance sustainable development. Make waves in the water industry and enjoy a fulfilling career that makes a difference to the community and the environment.